MOSCOW, June 16. /TASS/. The defense ministries of Russia and Myanmar have signed an agreement on military cooperation, Russian Deputy Defense Minister Anatoly Antonov said on Thursday. "A very serious step has been made toward the development of bilateral military cooperation. We are establishing a predictable legal basis for promising long-term cooperation between our countries. Over the last several years, a lot has been done in developing military and military-technical cooperation. I think that our document will serve as an additional impetus to developing multifaceted cooperation," Antonov said. According to the deputy defense minister, the agreement outlines cooperation in the navy sphere, hydrography, topography, military medicine, military education and other promising spheres of military cooperation. 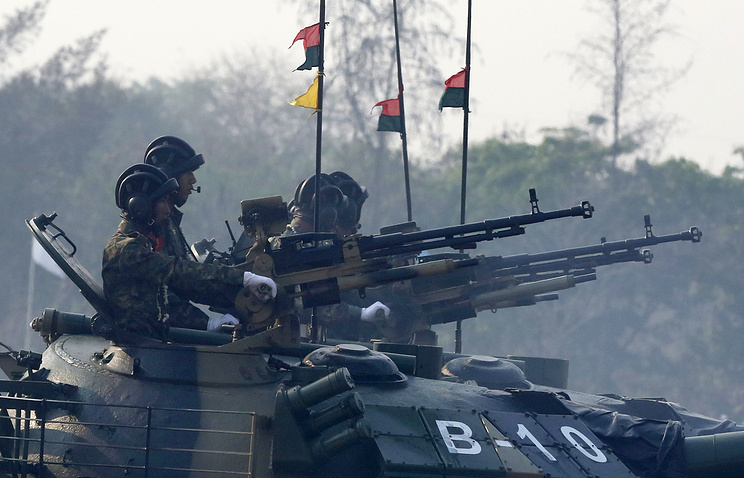 He noted that now the two countries "will have enough instruments to do everything possible to strengthen combat readiness of the Armed Forces of Myanmar and Russia." Myanmar’s Defense Minister Myint New in turn noted that the two countries are bound by long-term friendly relations. "We want to strengthen and develop these relations in the future. At the current stage, we approached the issue of signing an agreement with full readiness, it was coordinated at all levels, including in the parliament," he said. 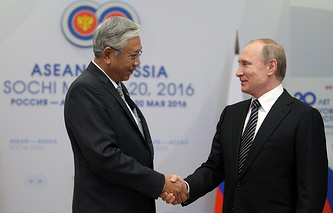 The defense minister stressed that Myanmar sees great prospects in the sphere of navy cooperation with Russia. The Russian Defense Ministry said that the agreement also envisages exchanging information on international security issues, including fight against terrorism, cooperation in the sphere of culture and vacation of servicemen and their families, along with exchanging experience in peacekeeping activities.